protest against top US envoy in Seoul for a series of controversial remarks on North Korea. In a statement released on Jan. 18, 2006, The Journalists Association of Korea (JAK), the largest group of working journalists in South Korea, claimed that US Ambassador to Seoul Alexander Vershbow interfered in internal affairs by his hostile remarks on North Korea. In a telephone interview with The Seoul Times on Jan. 19, 2006, JAK President Chung Il-Yong said "US Ambassador Vershbow should withdraw his remarks on North Korea and should apologize to Korean people for interfering in domestic affairs." Unlike his predecessor Christopher Hill, who is now serving as US representative for the six-party talks on the North Korean nuclear issues. Amb. Vershbow has caused serious controversy by his tough-worded remarks on North Korea since he came to Seoul in October, 2005. On Jan. 16, 2006 Amb. Vershbow urged South Korean people to "worry about North Korean regime" through an internet site "USA Cafe" set up by the US Embassy in Seoul for dialogue with local people. 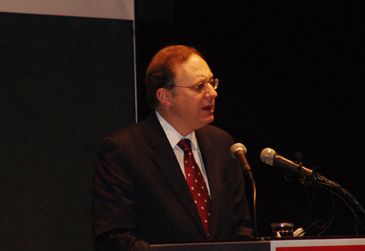 Earlier on Jan. 12, 2006, in a political forum hosted by Korea Institute for International Economic Policy (KIEP), Vershbow put a break on South Korea's economic cooperation and exchanges with North Korea by saying Seoul government should control the speed of the internal economic cooperation. Prior to that, Vershbow surprised many South Korean people when he called North Korea a "criminal regime" in a speech for a breakfast forum hosted by Gwanhun Club on Jan. 7, 2006. Gwanhun Club is composed of a group of senior local journalists. "Vershbow is trying to interfere in our internal affairs by a series of his arrogant remarks on North Korea," JAK President Chung said in the telephone interview. 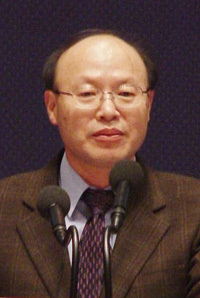 Chung demanded that Vershbow immediately stop making his controversial remarks and retract previous ones and make an official apology to the South Korean people. Chung said that US Ambassador's attitude of "do this or don't do this to the local people" is "intervention in our domestic affair." "I have never seen a more arrogant attitude from any foreign ambassador than that of Vershbow," Chung said. Chung added that he and his members are ready to officially invite Vershbow for open talks on any subjects. In the statement JAK members officially demanded that US Ambassador Vershbow withdraw his controversial remarks and apologize to Korean people, stop provoking North Korea by word and instead take a peaceful approach to North Korea through dialogue. They also demanded that US government establish diplomatic relations with North Korea and take practical steps corresponding with improving the life of North Koreans if the US government is really worried about the wellbeing of North Koreans.